We are not currently using this product but we have very high interest in learning and using this for mobile apps. React Native is great in that it reduces the overhead of writing native code based on a web app. If written in a good style, Redux part of the app can often just be copied or shared in the Native app - and it just works! What a timesaver. 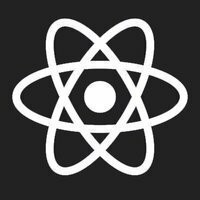 Our apps for iOS and Android were build on React Native. New features of our app are developed on React Native, so we could maintain a small dev team. 100% of our mobile codebase is shared between iOS and Android. Using along with TypeScript.